A completely new diorama concept from Airfix, this shell-torn house is a valuable addition to the H0/00 figure range. 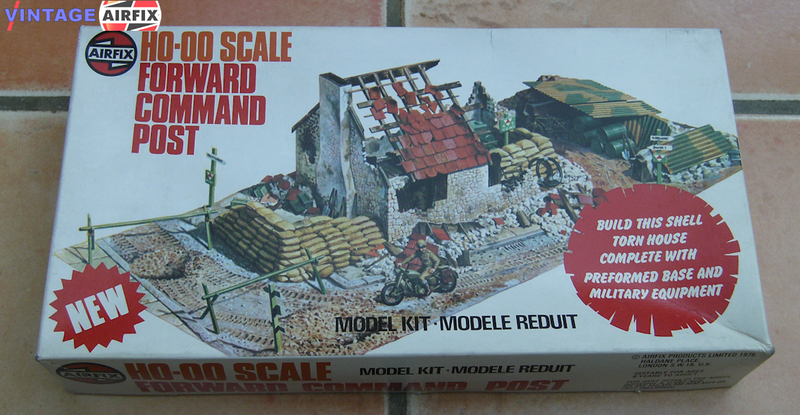 The kit, with a total of 79 parts, can be made to suit most wartime situations and the comprehensive instruction sheet provides ideas for dioramic layouts. Included in the set are ammunition boxes, sandbags, signposts, barbed wire supports, pickaxes, shovels and even bicycles and oil drums. Three figures include a dispatch rider and wireless operator.